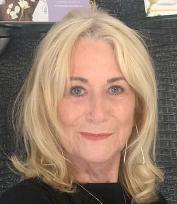 I have over 30 years experience in Beauty Thearapy and qualified as a Reflexologist and Aroma-therapist in 1998. I have also been a third degree Reiki Master since 1997. I enjoy every single aspect of the business specialising in Holistic treatments and Facials. I am very proud of the reputation the salon has acheived and put it all down to the skill and care of my lovely team. Hi I'm Amber, I have always had a passion for beauty, from painting nails to buying products. Every day is different and I love meeting new people on a regular basis. The best part of my job is coming to work every day and using all the lovely products, as well as making clients look and feel good with the amazing treatments we offer. Hi I'm Carla, My role in the team is to ensure our front of house runs smoothly, to deliver that complete Salon Experience. I'm also a fully-qualified Beautician and can happily give treatment or product advice, when needed. I enjoy my work work and look forward to meeting and greeting our lovely clients. Hi I'm Tracy, I really enjoy my role as receptionist at Hathor, from day one the team made me feel very welcome and I love being part of it. I have the pleasure in welcoming all our clients and offering them a range of tailored beauty treatments with our amazing therapists. I love the on going training which gives me more experience and knowledge in the products we have to offer. Hi I'm Hannah, I have 6 years experience working within salons and spas in the beauty sector. I am fully Level 3 qualified and confident in all aspects my job; I especially love meeting new clients and making their experience at Hathor the best I possibly can. My job is so much more than carrying out treatments, it's the dedicated time and warmth that comes with the service to make you feel 100%! I look forward to meeting everyone! Hi I'm Lucy, I've been a fully qualified therapist for 17 years and I am still very happy with my choice of career. I studied at mid Kent College gaining an NVQ in Beauty Therapy, whilst working in various salons to increase my experience. I am passionate about my work at Hathor where I am committed to do the best that I can for my clients. I specialise in Decléor Facials and wedding make up. Hi I’m Charlotte, I joined hathor in April 2015 and I loved it from the first time I met Lynda and the girls at my interview. The salon has a welcoming and friendly atmosphere and it's great being a part of a team! I have 10 years experience in the beauty industry since leaving school in 2006. I am NVQ level 3 trained by the London College of Beauty Therapy and I'm as passionate with my choice of career as when I first started college! There are always new skills to learn and its great being able to increase my knowledge so that I can go on giving the best treatment and advice to my clients, both new and regular. I enjoy working with a great mix of treatments and brands, which makes every day an enjoyable experience. Hi I'm Sadie. I am very passionate about all things beauty related. I've always had a passion and interest within the beauty industry since as young as I can remember. What I love most about my job is how rewarding it is to make my clients feel and look good, whether it's for an occasion or just a regular treatment. I aim to learn new skills and increase my knowledge so I can provide my clients with the best possible treatment. The girls at Hathor are so lovely, we have a great little team which adds warmth to the salon. Hi I’m Katie. I am a hand’s on beauty therapist I’m very passionate about my work at Hathor. I feel very lucky to be working in such a great salon with an amazing team. I’m fully qualified in Level 3 Beauty and love everything I do within the salon, I particularly love creating the perfect gel nail on hands and toes (as I am a perfectionist) I’m always keen to learn new skills and keep up to date with new treatments and products within the industry.